A graduate of Rhode Island School of Design, Annie Kantor earned her B.F.A. in Textile Design in 1994. Her professional experience in the contract textile industry includes designing woven upholstery and panel fabrics, most recently as Head of Custom Studio at Maharam. Currently based in Oakland, California, she brings her textile-design expertise to the realm of metal via AJK Design Studio Inc. Frustrated by the lack of enticing designs in metal while seeking elements for a personal architectural project, Annie discovered an opportunity to apply her expertise in repeating-pattern design to develop a line of interior custom metal work. From that impetus originated a series of custom heat registers and vents, inspired by and created with tools linked to the textile industry. Today she brings her signature designs and custom creations to architects and interior designers who want every detail to matter. The process begins with inspiration from her surroundings and a general awareness of patterns in her environment. Whether inspired by a shadow on a tennis court or based on the design of a striking tiled floor in Istanbul, each design starts with a hand-drawn sketch or painting. This important step ensures a bit of her own hand in the finished product. The artwork is scanned into a CAD program specifically configured for textile designers, which is ideal for creating patterns in repeat. The final product, manufactured in the US, utilizes either precision laser or water-jet technology as a means of cutting her patterns out of metal. EMILY ZIZ IS A SUPPLIER OF HIGH PERFORMANCE DIGITALLY PRINTED PRODUCTS TO THE INTERIOR DESIGN AND ARCHITECTURE INDUSTRY. 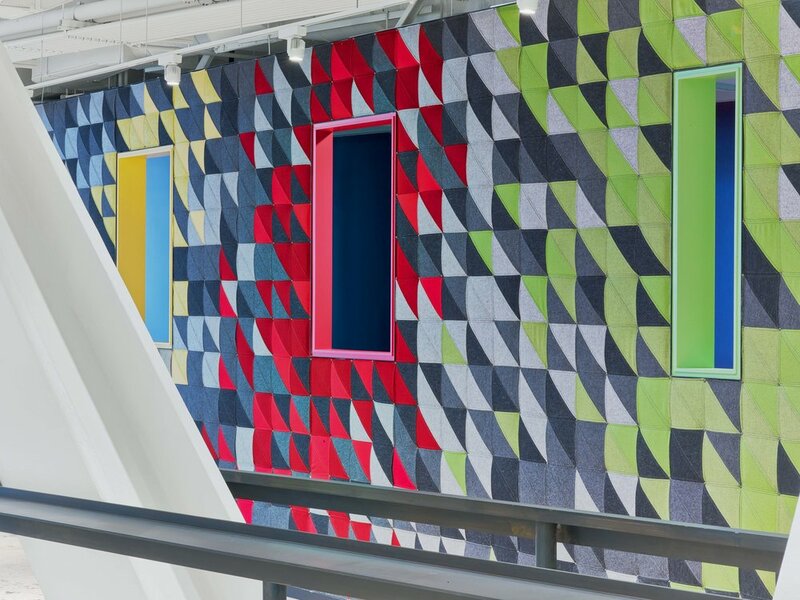 We are known for our constant innovation and unique ability to translate design concepts across an extensive range of decorative materials, including fabrics, wallcoverings, glazing solutions, solid finishes and acoustic products. Catering to both the commercial and residential markets, we work collaboratively with specifiers on projects of any scale, to deliver the highest quality product with short production lead times, and the assurance of a completely bespoke outcome. HC28 prides itself as one of the pioneering high-end modern furniture brands from China. By introducing a unique blend of the Eastern world meeting its Western counterpart, the collection offers the best of the two cultures : true design innovation and sheer creativity from the West serviced by exceptional craftsmanship and a deep commitment to refinement from the East, rarely achieved at the level. As a result, HC28 is regarded as a rare example of timeless modernity and genuine elegance. Since the late 90's, Jianwei LI and the Fargo Group have been working hand in hand specializing in the distribution of leading contemporary design brands from France and Italy on the Chinese market. In 2006, they put together a multinational team of experts in furniture design, distribution and production to create HC28. Hence the concept of this new line and its brand name : HC28.The name HC28 is simple yet meaningful : the brand introduces a 'Home Collection' concept reflecting a sense of refinement and harmonious modernity. As for 28, it refers to the location of its first manufacture which had been originally located precisely 28km east of the Forbidden City in Beijing! JILL MALEK IS A NYC-BASED ARTIST AND DESIGNER, SPECIALIZING IN BOUTIQUE DESIGN PACKAGES FOR HOSPITALITY AND HIGH-END RESIDENTIAL INTERIOR DESIGNERS AND ARCHITECTS. INSPIRED BY THE FLUCTUATING PATTERNS OF MOVEMENT FOUND IN NATURE AND URBAN LANDSCAPES, HER BODY OF WORK HAS APPEARED IN MANY ICONIC INTERIORS, INCLUDING THE BROOKLYN BOTANIC GARDEN'S YELLOW MAGNOLIA CAFE, RITZ-CARLTON BOSTON, THE COSMOPOLITAN LAS VEGAS, AND WESTIN BALLROOMS WORLDWIDE. 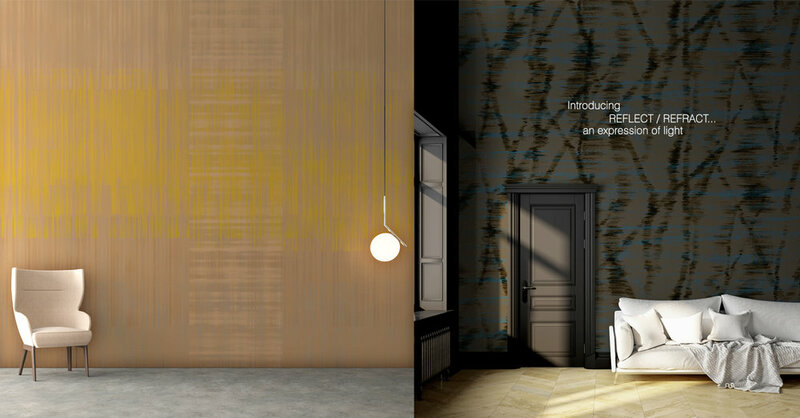 HER HIGH-END MODERN DESIGNER WALLCOVERINGS CAN BE CUSTOMIZED, AND CAN BE SHIPPED GLOBALLY. Philomela is a California based design studio specializing in original, hand-drawn, painted and printed, expertly formatted textiles for interiors. Our bold, intricate patterns balance delicacy with daring and bring a sense of celebration into every space. The collection mixes antagonistic styles and conventions: baroque & modern, word & image, highbrow & downtown, hand constructed & digitally manipulated in a libertine mix of West Coast hedonism. Dual workshops amplify the natural/cultural, rural/urban mix revealing the shimmering energy of two delightfully different environments. The Sea Ranch Studio expands upon Northern California's sensuous natural abundance bringing a respectful stewardship of the land indoors. Equally influential is the vibrant eclectic culture of our L.A. based studio. Philomela themes layered in wallpapers and fabrics infuse interiors with a liveliness and sense of deep connection. See our considerable catalog of @ 200+ carefully constructed and unique patterns here. Beauty and utility are mutually generative. The applications of Philomela are limited only by the imagination. 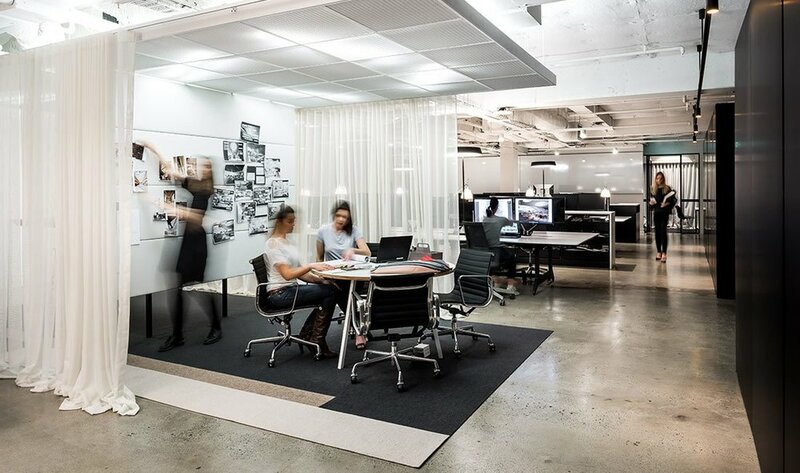 We enjoy collaborating with architects, interior and furniture, clothing and product designers on everything from on-site to event-specific projects. Ricca was founded in 2014 by Pierluigi Biasiolo and Roberto Ricca whose experiences in the international markets inspire them to select the best talents in design. Ricca is a division of OR Illuminazione, a family owned company located in the Province of Venice and dedicated to the production of Crystal and Murano Glass lighting solutions. Ricca production is entirely Made in Italy in the respect of the highest quality standard and working conditions. We end up making additional pieces for designers, on request. At the end of a project they may ask about pillows, phone cases, iPad sleeves or felt boxes. It was suggested that we begin posting these for sale. Above is the first image and more will be added as we develop them. If you are interested in having us develop something for you or your organization please don’t hesitate to reach out and lets talk about it. You can contact me using the contact page or just email me.